Learn more about your favorite friend. 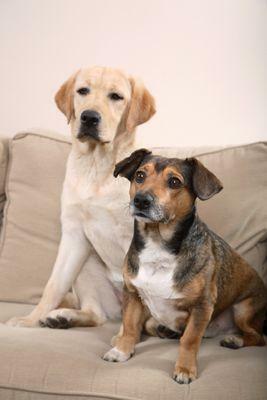 Dogs slideshows are terrific for checking out your favorite breed or learning other essential information about dogs. As you browse though the many great slideshows here, you'll find stunning picture galleries as well as informational material in an easy to remember format. You'll be able to read and see what you want to know, and that always makes learning easier. If you want to see pictures of your favorite breeds, you can do that by viewing beagle puppy pictures, French bulldog pictures and many others. Dog slideshows can also help educate you about the issues you care about, such as facts about puppy mills or dog health issues. You can even find out which dog breeds are likely to be the most dangerous, statistically speaking. Dogs slideshows are perfect tools for people who learn better visually. They say a picture is worth a thousand words. When you see images of what you are learning, you are more likely to remember the facts associated with those images. If you aren't in the market for information, that's okay. You can just relax and enjoy pictures of your favorite four-legged friends. Check out favorite breeds or just have some fun looking at cute puppy pictures. You'll find what you need here. Just be sure to check back often as new slideshows are added. If you have suggestions for slideshow topics you'd like to see covered, don't hesitate to leave them on any article page throughout the site. LTK welcomes your ideas and suggestions.